The ecoroof industry in Portland, Oregon, has been making great strides. Since 2008, the City of Portland has offered an incentive of $5 per square foot of ecoroof on approved projects. Over 100 projects have been funded so far for over 8 acres in vegetated roof space, and the funding will be offered twice annually until 2013. The City now boasts nearly 13 acres of ecoroofs (extensive green roofs) and close to 28 acres of green roofs (intensive and extensive combined). The entire month of March will include ecoroof-themed events and presentations. During the first week we welcome Dr. Stephan Brenneisen, green roof and biodiversity expert, who will participate in a design charrette and share a presentation on his work in Basel, Switzerland. There will also be several ecoroof project tours throughout the month that are free and open to the public. The calendar of events can be found on the City of Portland’s Ecoroof Portland website. The high point of the month will be the third annual Ecoroof Portland event, which will take place on Friday, March 18, 2011 at the Oregon Convention Center. 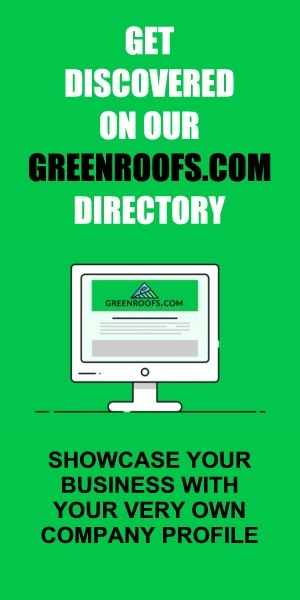 The event brings together professionals from throughout the ecoroof industry as well as all business owners, homeowners, and developers with an interest in ecoroofs. More than 60 local ecoroof designers, landscapers, contractors, architects, consultants, nurseries, suppliers, manufacturers, researchers, non-profits and community groups will be on hand at this free, public event to share their knowledge with Portland citizens about greening our local rooftops to protect our rivers and streams. We’re very excited about our keynote speakers for this event. Wolfgang Ansel, Director of the International Green Roof Association (IGRA), and renowned green roof designer Paul Kephart, of Rana Creek Living Architecture, will headline this year’s program. (Last year we were lucky to have Greenroofs.com‘s Linda Velazquez and Emory Knoll Farms’ Ed Snodgrass as our keynote speakers!). Additional programming includes case studies of high profile ecoroof and green building projects, and live demonstrations with ACE Academy (Architecture, Construction, Engineering) students and faculty. Matt Burlin is the Outreach Coordinator for Sustainable Stormwater Management with the City of Portland Environmental Services (BES). Contact Matt at 503.823.7863 or his new email address: [email protected]. Visit the City of Portland’s website for complete info. You can also stay up to date by liking our facebook page. 3 replies to "Portland Celebrates Ecoroof Month in March"
Sky Gardens » Blog Archive » Ecoroof Incentive Deadline – One Week Away!